Hypothermia is a medical condition in which the human body begins to lose its core temperature faster than it can be maintained. Normal body temperature is a steady 98° F. Hypothermia occurs when the body temperature drops below 95° F and can easily happen as a result of exposure to cold air or particularly cold water. If untreated, primary organs such as the heart and lungs will begin to slow down. Prolonged hypothermia can lead to respiratory and heart failure, and ultimately death. There are many precautionary steps to take in order to avoid hypothermia. 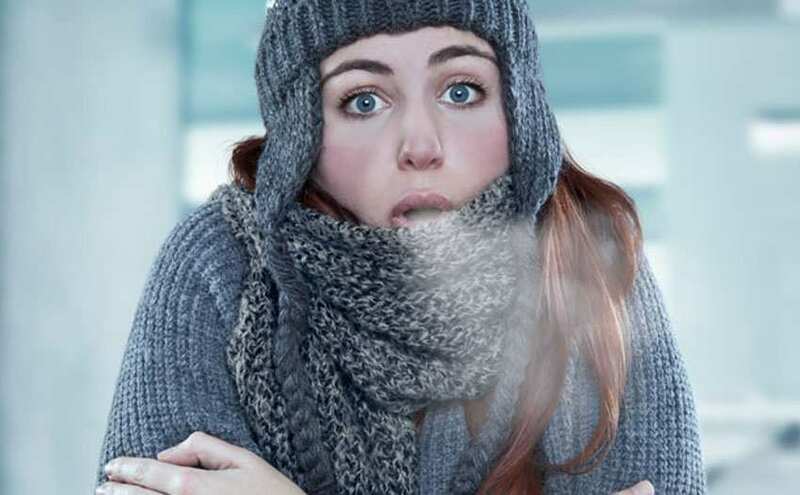 Pay attention to weather systems and avoid exposure to extreme cold without adequate protection. Severe cold can also cause frostbite which may require amputation of fingers, toes or both. You can always put more clothes on if you bring them along. Failing to plan may bring with it a heavy cost. Going out for a hike? First and foremost, check the weather forecast. Bringing the proper clothing. Assess the situation and plan accordingly. If cold is forecasted, be sure you layer your clothing to keep your core temperature warm and also protect your extremities. Also take steps to avoid wind and rain. Always bring an extra set of clothes in case you begin to sweat or fall into water. Wearing layers of clothing is vital, and if your clothes become damp because of sweat, you'll find your core temperature dropping fairly rapidly if it's cold or windy. Remember the areas of your body that lose heat the quickest are the areas furthest away from the deep organs such as hands and feet, arms, legs and the neck and head. In extreme conditions, blood vessels may constrict to force blood to the torso to maintain organ temperatures and prevent organ failure. In such cases muscle function in the arms or legs may occur. Therefore it is vital to plan accordingly. Bring an extra set of clothing and keep it in a waterproof bag. If you only have a backpack, pack your clothing in multiple layers of plastic bags. If it starts to rain, make sure you find cover immediately to minimize your exposure and dry off as quickly as possible. The first piece of clothing you wear should be made of wicking material. Wicking fabric is designed to keep moisture away from your skin, and will help keep you dry in the event you start to sweat. Your second layer should be made of material designed to keep you warm, such as wool or an advanced thermal protection material. Your last layer, the layer that is exposed on top should be water and / or windproof or both, depending on the forecast. NEVER wear cotton. Experts say that when cotton is wet, it will stick to your body and is slow to dry. It is the worst type of fabric to wear in cold and rainy weather, so that includes denim jeans. Make sure you let your friends and family know ahead of time where you plan on hiking, and how long you plan on being out. Always bring a form of communication (cell phone or SPOT messenger) in order to contact your family or friends. If you feel yourself becoming fatigued and sweaty, pace yourself. Overexertion may lead to poor choices which could eventually land you in a dangerous situation. In the meantime, keep yourself dry with a towel and minimize how wet your clothes become. If they become too damp, consider changing into dry clothes. It's important to be able to recognize the signs of hypothermia. They include shivering, exhaustion, confusion and occasionally slurred speech. In babies, their skin will begin to turn red and they may exhibit signs of sleepiness. If you believe someone may be in medical danger, try to heat their body up gradually. If their clothing is wet, offer them a new set of clothes. If you're near any buildings, go inside to warm up slowly. If possible, drink something warm to help bring the body temperature up. However if hypothermia is in its later stages, follow the steps listed above and call an ambulance. It can be a life threatening condition and should not be second guessed.